After the amount of responses from friends and supporters, my project using family photographs expanded and incorporated new elements. 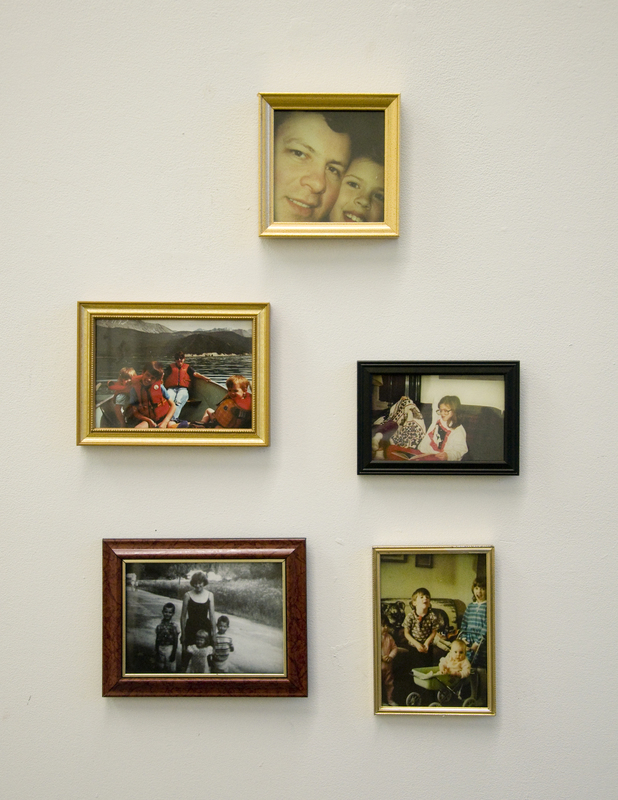 This project was created in response after examining many family photos. What you see in these photos is only a small part of the installation which uses a sound clip projected out of the chair at a low volume. After sitting in the chair, the viewer begins to hear a telephone ringing near them at a volume that can be heard only while sitting in the chair or standing next to it. This is a constant part of the chair, looping continuously and without the viewers control of stopping it. Although the family photographs are of my own family, the project is not intended to be autobiographical. 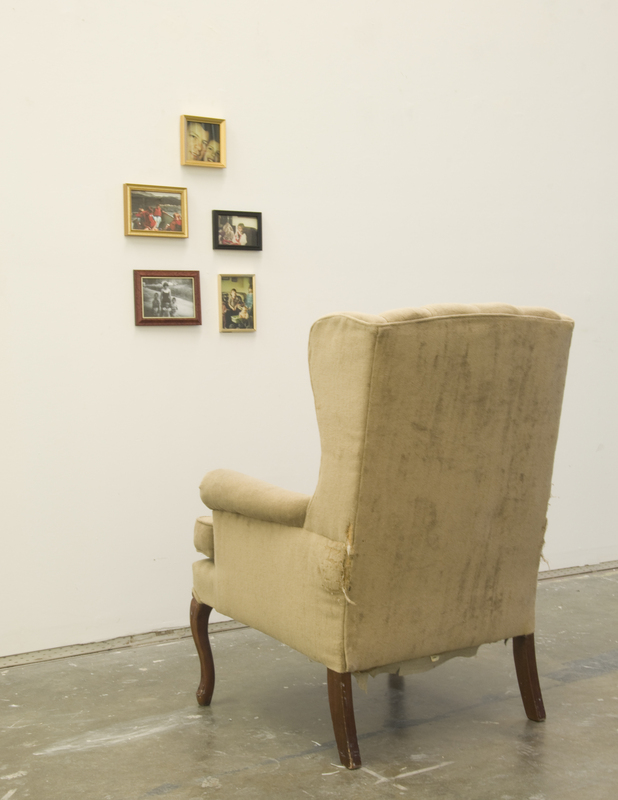 The focus remains on the uncomfortable sound projected around the viewer and the interaction with the photos displayed on the wall that act more as objects than photographs. Not familiar with my project using family photographs? Check out the project here and learn more. This entry was posted in Updates and tagged 2011, art, artist, family, gallery, image, installation, Justin Schwab, photographer, photos, sound by Justin Schwab. Bookmark the permalink.